Jane’s interest in learning disabilities and dyslexia began during her first teaching assignment as a second grade teacher in Cape Town, South Africa. She earned a Bachelor of Arts Degree from the University of South Africa, her teaching credentials from the Cape Town College of Education, and a postgraduate diploma in Remedial Education from the University of Stellenbosch. Jane has taught in a variety of school settings over the years – from a large inner-city community school in London, England to a small private remedial school in Johannesburg, South Africa. She currently works as a dyslexia intervention specialist. The IDA’s mission statement reads, ‘… that all individuals have the right to achieve their potential.’ This is extremely dear to Jane’s heart. During her tenure as president she hopes that the Oregon Branch will grow and continue its 40-year tradition of excellence in advocating for those who experience dyslexia as well as for their families. Jane has lived in Portland, Oregon with her husband and two teenage children since 2010. She loves traveling, the arts and the great outdoors. With all its natural beauty, she considers being able to call the Pacific Northwest her home, a privilege. Danielle’s journey into dyslexia began when people she cared about found out they were dyslexic and she realized she needed to learn more. The more she learned of the science of dyslexia and the science of reading, the more she began to understand why many of her high school students continued to struggle with reading, writing, and spelling despite their best efforts over the years. A public high school teacher for over 20 years, and a dyslexia screener and tutor, Danielle joined the Board of Directors of IDA-Oregon Branch out of a desire to improve the life of the next struggling student in her classroom, as well as all students and adults with dyslexia, and to share best practices with the educators, parents, and professionals who want to learn more. Elizabeth (Liz) Dove is a native Portlander, growing up in East County. Liz has a degree in Political Science, with a focus on minority studies, from Portland State University. Liz is the Development Director at Park Academy. Park Academy is the only school in Oregon with an articulated elementary through high school curriculum specifically designed for students with dyslexia and other language learning differences. Through her work at Park Academy, and as the Development Chair on the ORBIDA board, Liz believes that everyone can make a difference in their own way. She enjoys helping individuals and organizations discover how their time, talent and treasures can impact the dyslexic community. Liz lives in Washington County with her wife and their dog Benny. Liz loves to read, cook and visit the Oregon Coast. She is a season ticket holder for the Portland Thorns and enjoys cheering on the US Women’s National Soccer Team. Jim Snyder has spent the last 16 years in the education field as a marketer and researcher working with educators around the world. He has a BA in physics and mathematics from Kenyon College, an MS in Physics from the University of Oklahoma and an MBA from Portland State University. He earned an Ed.D. in 2010 from George Fox University and his dissertation was on the use of audio in computerized adaptive assessments. In August 2013 he joined Quality Matters working to market quality assurance in online education to Higher Ed and K12 institutions. His focus is on expanding Quality Matters presence in K-16 education space. In addition, since 2003, Dr. Snyder has been the director of the NW Education Cluster (collection of more than three dozen Portland area companies networking to learn about each other’s businesses, discover synergies, and explore the potential of the education/training industry as an economic driver for Portland and its metro area). Jim is married with 2 kids (17 and 15) and enjoys running and playing soccer in his free time. Christy Coss is originally from Memphis, Tennessee, but moved to Portland permanently in 2010. Christy finished her training in Pediatric Medicine at Dorenbecher Childrens’ Hospital in 2003. After that, she worked in small town Arkansas for 7 years doing pediatric clinic and hospital medicine. Since 2010, she has focused on newborn care at Kaiser Permanente. She discovered that her son had learning differences in 2012. This provided her with an opportunity to realize she loves teaching. Through homeschooling she has enjoyed helping her children develop their independence, self esteem, and love of learning. She believes everyone has talents that are waiting to be discovered. She is excited to help ORBIDA continue to improve our dyslexic community. She lives in Washington County with her husband, 2 kids and 5 pets. You can find her out and about all over Portland looking for ways to keep learning fun. Michele is driven to help families and schools understand both the advantages and challenges that dyslexia creates, and to implement practical plans that empower dyslexic students to excel. Michele is Certified as a Dyslexia Screener and Consultant, Dyslexia Advocate and Certified Barton Tutor. Michele is a Decoding Dyslexia Ambassador and the Co-Founder of the Lake Oswego Parent Dyslexia Community. Michele’s background includes over 20 years in consultative sales and client management in the healthcare industry. She holds an MBA from St. Mary’s College, a B.A. from Cornell University with a major in Psychology. Kate Franken, MAT, started her professional life as an adolescent counselor, but soon learned that helping students with literacy issues brought out her love of both teaching and language. She began her training in Orton-Gillingham with Dorothy Whitehead in 1994, and has been supporting students with dyslexia and their families, teachers, and communities ever since. She is now a Special Education teacher in the Parkrose District, and is certified by IDA as a Dyslexia Therapist and AOGPE as a Certified Orton-Gillingham Practitioner and Educator. A Colorado native, Kate has lived in southeast Portland since 1985, raising two (currently) teenage sons and, over the years, a small herd of dogs and cats. She feeds birds, and is learning at a remedial pace to identify them. Kate is always curious, and appreciates good books, good friends, good food (cooking less than eating), a good laugh, and living in this fine community in the Pacific Northwest. Tanya was was born in Northern California and relocated to Oregon in 1995. She earned a Bachelor’s of Science in Managerial Economics from University of California Davis and Master of Science in Consumer Behavior from University of Tennessee Knoxville. As a mother of two dyslexic boys, she started on this reading journey over 8 years ago when her eldest son started to struggle with reading in Kindergarten. It was a confusing, emotional, frustrating time for the family until they met a tutor with dyslexia training and everything changed. It took one person to change her world. Tanya supports this organization to enable the “one person” for the next learner, parent or educator on a similar journey. Because reading changes lives…and this organization is changing the world! Kara Hanna is passionate about education, both in her own life and in the lives of her family members. Having home-schooled her 5 children, she realized the need for dyslexia intervention as part of education. Kara is a Certified Barton Tutor and Recommended Screener for Dyslexia. As a physical therapist, Kara brings the unique skill set of a therapeutic perspective to her evaluations and tutoring. In her free time, Kara enjoys spending time with her family, staying active, traveling, and gardening-especially with roses. Rachel Hansen is a graduate of the University of Oregon and obtained a MAT at Pacific University with a focus on Secondary Education. She took a hiatus from teaching to raise her three children, and became an avid volunteer in schools and youth ministry. During this time Rachel became a passionate advocate for students with dyslexia and ADHD. She has first-hand experience with the diversity of learning differences from her experiences with her own 3 children, two of whom have dyslexia and/or ADHD. Rachel is passionate about advocating for dyslexia-related issues by educating parents and teachers about dyslexia and real life application for students. She currently teaches Art and Biology at Edison High School. Outside of teaching and dyslexia advocacy, Rachel loves traveling, playing and coaching soccer, running, hiking, reading, doing art projects, and watching and rooting for the Oregon Ducks during football season! Lynn became interested in learning about dyslexia when one of her four children struggled to learn to read, write, and memorize math facts. She discovered a genetic marker for dyslexia in her family history. Over the next decade, Lynn learned effective methods to help her child learn how to read, write, spell, and achieve success in math. She is a licensed K-12 Special Education Teacher in the state of Oregon. Lynn earned her Fellow Level with the Academy of Orton-Gillingham Practitioners and Educators (AOGPE) in November 2018, and her Structured Literacy/Dyslexia Specialist with the International Dyslexia Association. Lynn is the director and trainer for the Oregon Dyslexia Institute. She spends her time training Oregon teachers how to recognized dyslexia, understand the foundational skills of the English language, and how to intensify instruction to meet the needs of struggling readers, including dyslexia, in compliance with the Oregon State Approved Dyslexia Training. Shelbe Park is a native Portlander and now lives in Vancouver Washington with her husband, daughter and son. She became active in the Oregon branch of IDA 13 years ago when her daughter was diagnosed with dyslexia. Shelbe has served as a Board of Director , Vice-President and two terms as President. Her daughter is now a successful college student and Shelbe contributes that to the support she received from IDA. Shelbe is a full time tutor for students with Dyslexia and believes that it is important to teach students with dyslexia to advocate for themselves. She is in awe of the amazing students she has met and mentored. Andrew Peterson moved from NYC to Portland in 2014. He grew up in the Midwest and earned his B.A. in Spanish, International Relations, and Latin American Studies at UW-Madison. He later earned his M.S. Ed in Childhood Education from Hunter College in Manhattan. Andrew taught 4th grade in the NYC area, was Director of Education at an elite test-prep company in NYC, and founded NW Budding Scholars in 2014. He is trained in the NOW! Foundations for Speech, Language, Reading, and Spelling, a multi-sensory program designed to increase phonological awareness and processing which improves reading and spelling. He is an avid reader of the latest research in the field of dyslexia, and empowers students intellectually and emotionally by teaching them how dyslexia “works”. Andrew currently lives in Vancouver, WA with his wife and son, and counts Cannon Beach as his favorite Oregon getaway. 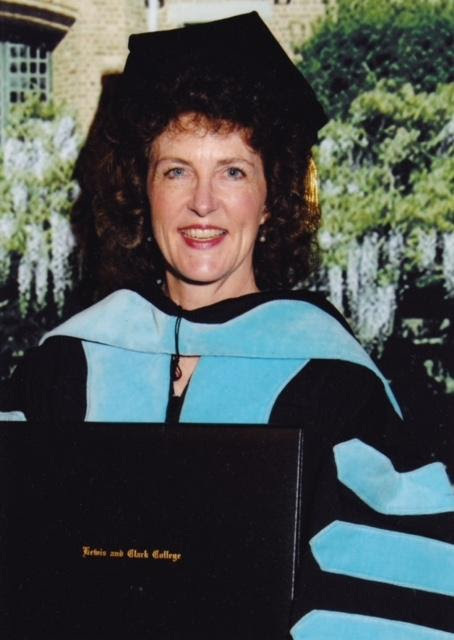 Betsy Ramsey is retired as a Research Associate from the Knight Cancer Institute of Oregon Health & Sciences University. She joined IDA in 1991 where she found help in dealing with her son’s dyslexia diagnosis in the form of the Reversals Support Groups. The IDA activated her passion as an advocate for improving public understanding of learning disabilities, bringing scientific methods to education research, and translating research to practice in the classroom. In 2006 she co-author with Lee Sherman The Reading Glitch, How the Culture Wars Have Hijacked Reading Instruction and What we can Do About It. Betsy currently serves IDA-OR as Information and Referral Specialist, representative to the Oregon Dyslexia Advisory Council, and as a presenter for teacher training activities. Connie Rice was born in Southern California and relocated to Oregon in 2004. She earned a Bachelor’s of Arts in English Literature from California State University, Long Beach, where she also completed her teaching license in Secondary English and Social Studies. In 2006, Connie was awarded her Master’s of Education in Curriculum and Technology from Grand Canyon University. In 2009, Connie secured her ESOL endorsement after working with migrant students and completing over 60 hours of training in SIOP strategies. Finally, in 2011 she began learning about ways to support dyslexic students by completing courses, including the Dyslexia Advocate program, through the Dyslexia Training Institute. Currently, Connie is studying the Orton-Gillingham Program and expects to complete her Associate’s level of training in 2018. Connie has taught in the public sector for 19 years at both the middle and high school levels. She works diligently to address specific concerns seen in the mastery of reading, writing, and speaking during these critical years. Developing clear language and teaching strategies to help the weakest of students master high level concepts is a mainstay in her teaching philosophies. Connie currently works with middle school and high school students at Catalyst High School in Newberg. This alternative learning program allows her the opportunity to put all her training into practice on a daily bases. Katie Vincent, Ed.D is a native Oregonian and a long time educator in the Portland area. Having held positions as a teacher, in administration, and as a higher education faculty member, Katie is committed to making certain that educators have the knowledge, skills, and abilities to ensure that each of their students has the literacy skills required for success. Katie currently serves as Associate Faculty at Prescott College, Prescott AZ and Adjunct Faculty at Warner Pacific University, Portland OR.